Loaded! 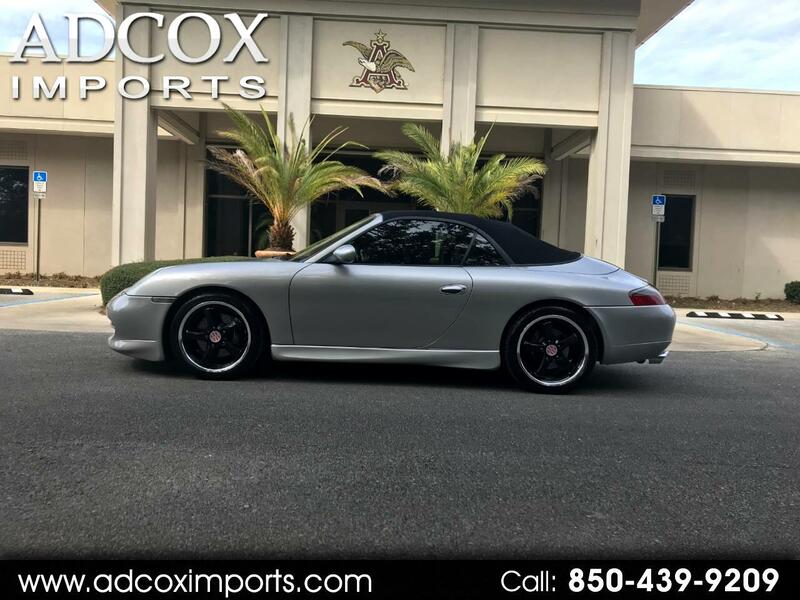 This 2001 Porsche 911 Carrera Cabriolet comes complete with all Power (windows, locks, mirrors and Driver/Passenger Seats), Titpronic Automatic Trans., A/C, ABS, Driver Side Memory, AM/FM Stereo w/In-Dash CD, On-Board Computer, Dual/Side Airbags,Heated Seats, Vanity Mirrors, Map Lights, Tilt Leather Steering Wheel, Cruise Control, Traction Control, Remote Keyless Entry, Power Soft-Top, 18-inch black 5 Spoke Black Victor Equipment Wheels with New Michelin Tires, and Leather Interior. BEAUTIFUL CAR... VISIT OUR WEBSITE AT WWW.ADCOXIMPORTS.COM FOR MORE PICTURES! !